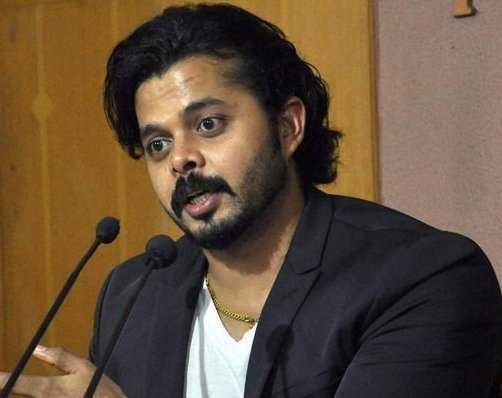 New Delhi: The Supreme Court on Friday authorised Justice (retd) DK Jain, the new ombudsman in the BCCI, to take a decision on the quantum of punishment to be awarded to former cricketer and pace bowler, S Sreesanth. Board of Control for Cricket in India had banned Sreesanth for life from playing cricket on the grounds of involvement in spot-fixing. A division bench, headed by Justice Ashok Bhushan and also comprising Justice K M Joseph, had on March 15, this year, cancelled the ban. It, had, however, directed the apex cricket governing board panel to reconsider the punishment. The Supreme Court passed the order after an appeal filed by Sreesanth seeking revocation of his ban.